For those of you who like to ride bicycles here, it's often quite hard to find a safe environment to do it - the roads here are not exactly what I'd call safe at the best of times, and even less safe for those who are not in 4 wheeled vehicles! Nice to see some creative uses for the OAA facilities! 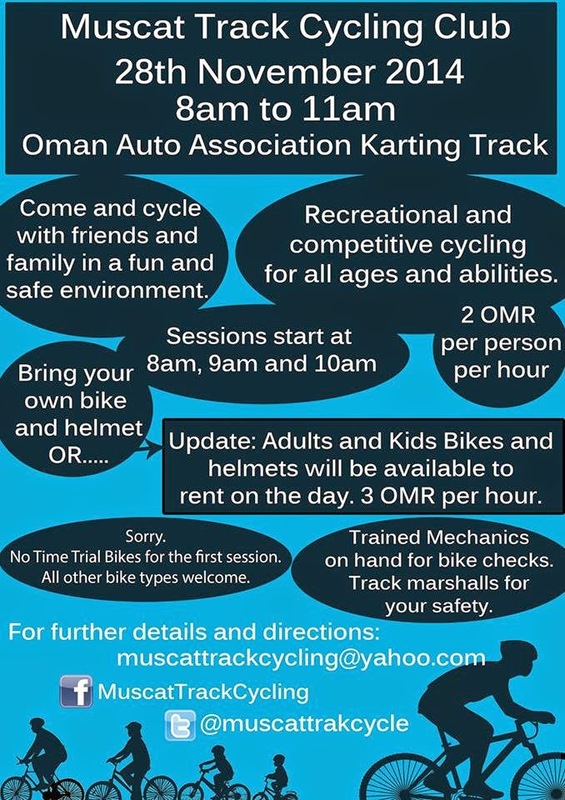 You can check out the Muscat Track Cycling club on their facebook page here.